Renowned psychiatric survivor, noted author, and long-time civil rights activist Leonard Roy Frank has died. He was 82. The exact cause of death is not clear at this time but it followed a fall, according to an email notice from the executor of the will. I am sad to report that Leonard Frank died suddenly some time late Wednesday night or early Thursday morning. Though he had suffered with a cold for a few days, otherwise he was healthy. He had apparently fallen after having what the medical examiner said was probably an “event.” The cause of death may not be declared for several weeks. As executor for his will, I’ve been talking with his sister and her three children about plans for a memorial service, which is tentatively planned for Saturday, January 31, 10 am. If you want to make a charitable donation, I suggest that you do so to Mind Freedom International, P.O. Box 11284, Eugene, OR 97440-3484 or online at http://www.mindfreedom.org/. If you want to receive final information about the memorial service, please let me know. Please share this information with people who loved and appreciated Leonard. He will be deeply missed. Video of Leonard Roy Frank at the Occupy the American Psychiatric Association protest in 2013. Leonard Roy Frank on MindFreedom International website. MIA Editors Note: We invite readers to offer their remembrances of Leonard Roy Frank in the comments below the special “Remembering Leonard Roy Frank” post. Leonard, I can’t believe you’re gone, you were invulnerable, invincible. A paragon of self –discipline, principles, and intolerance for injustice, with an unhesitating willingness to speak truth to power. I will miss our conversations, your bubbling excitement about a new book that you discovered and your sharing of some new insight and a recommendation of something for me to read. So much I learned from you and so lucky was I to have you as a friend. Whenever I wrote anything, I asked for your opinion and you were always willing to give me your honest assessment and some prodding to add or change an expression or a word. One of your first edits was to point out that I should not write psychiatric medications, but to instead call them what they are, “psychiatric drugs.” Many similar clarifications were suggested (strongly) through the years. Yes, Leonard had strong opinions or should I say values and didn’t mince words. Some memories: I met you in 1994. Rae Unzicker invited/convinced me to attend my first NARPA conference. There, she pointed out to me a tall, angular, full bearded man who could have passed for John the Baptist. She said that like you, he had insulin shock treatment – you should get to know him. I walked up to you, said hi and told you that Rae thought that I should meet you. When I told you that I had insulin comas and electric shock, I saw your eyes light up. You asked me tell you anything I could remember about it. We then pieced together our fragmented memories of it and the aftermath of struggling to overcome the lingering effects. That was the start of our 20 year friendship. I brought you to The American Psychological Association meeting in San Francisco about 15 years ago and we attended an address given by Bert Karon where he was given an award for his work. There, I met Bert and his wife Mary. Bert was very excited when he realized that you were there – he was an admirer of your work. Leonard was always open to having new and old activists for social justice come to his small efficiency apt. in San Francisco and respond to requests for knowledge and direction. Leonard’s apartment was amazing with books all over. Food cabinets and closets had layers of books rather than food or clothing. I have many memories of you and a belief that your life’s work will continue to inspire and benefit those who fight for justice for all people. COURAGE, INTEGRITY AND SPEAKING TRUTH TO POWER were the pillars of your life. May your spirit continue to SOAR! A very sad day. For decades now Leonard has been a fearless, talented, and wise leader in the survivor community. Hard to imagine the world without him, for whenever us activists turned around for guidance or inspiration , there was Leonard–constant, dependable, certain, undaunted. How many of us he inspired to take up the battle against ECT. I am proud to have been able to call him my friend. Leonard, we will miss your courage. We will miss that wonderful way that your voice went from gentle to a fury that demanded to be heeded. We will miss your wisdom. We will miss the meticulous updates to the Quotationary. We will miss most everything about you. What a mitzvah to have been able to work with you all these decades! May your memory be as a blessing. I had been well aware of Leonard Roy Frank’s contribution to our movement long before I finally bumped into him on the elevator on my way to Ron Unger’s symposium in 2009. I wish I could have known him better. There aren’t a great many people in our movement that you can stand in awe of, but to me, he was certainly one of those. He was a real hero in my eyes, and he will be sorely missed. RIP brave soul and survivor. 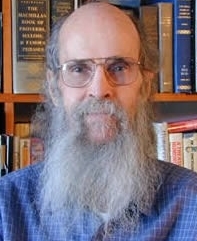 We invite anyone who would like to share their reflections on Leonard’s life and work to post them on the special memorial page that was created for him, so that all the remembrances can be together in one online tribute to this man who will be so missed: https://www.madinamerica.com/2015/01/memoriam-leonard-roy-frank/. Some comments that were posted here have been moved to the memorial page. May all find comfort in the wake of this loss, and may his spirit live on in our work. It’s a real loss for such a man of wisdom and courage to leave this Earth and our community. RIP.